Target is sore all over. So sore he can hardly move. So he's propped up in bed on a stack of pillows, and we bring him water, cat food and biscuits in bed. No wonder he's purring! 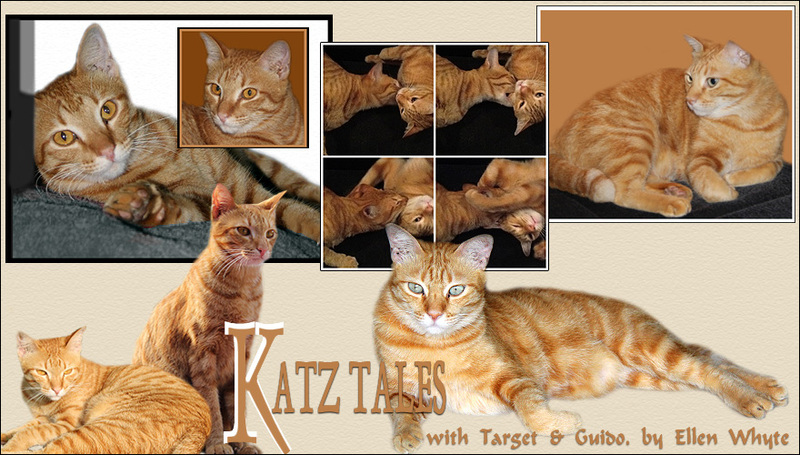 Katz Tales is out in The Star Weekender section, print version only. It's all about whiskers and cat intelligence. Have a great weekend! You totally deserve to be treated like a king if you are not feeling your best! Have a good rest, Target! He doesn't look too bad. Looks like the vet did a good job. Sorry to learn about your paw dislocation, Target. Glad you are recovering. Get as much out of your humans as you can now during this sympathetic stage! Ik hoop dat je je beter voelt. Rust maar lekker dit weekend. We're so glad that Target is ok. What a luxe life. I am glad Target is feeling much better. Praying for a quick and speedy recovery. He sure looks content. I wonder if I could get my kids to wait on me like that. Probably not! Oh, Target looks like his is spoiled! I am glad his arm is fix! Relax Target, that's the only sensible thing to do now. If we would be there we would plant some kisses on your sweet face.